Gone are the days when one would leaf through the pages of a leading national to browse through the classifieds section that advertised a host of products and services as well as job vacancies and matrimonial. Today, when everything going digital, classifieds too have joined the online bandwagon. Whether you are looking for a place on rent or to buy a second-hand mobile phone, you can find it all in the classifieds websites. Most of these websites allow the buyer or seller to place their ads for free. This, in fact, is one of the leading advantages of placing classifieds online. Speaking of other advantages of placing online classifieds, it has a much wider reach than print classifieds. While placing an advertisement in the classifieds section of the leading daily in your city will get you responses only from the people in the city, online classifieds can generate interests from potential buyers across the world. 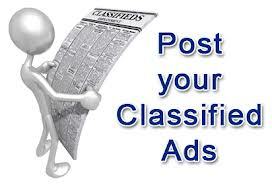 All you need to do is choose a renowned classifieds website and then place your advertisement in the right category. With increasing number of people becoming computer savvy and using the internet to stay updated about the latest news from around the world, the circulation of newspapers is dwindling and so is its reach. Today, the internet is the biggest marketplace and that too without borders. Since you do not have to pay a penny for placing your advertisement online, you do not have to worry about the time for which it is present online. 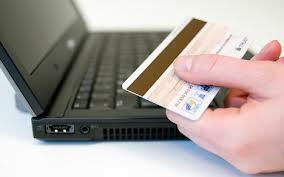 As you do not have to pay anything out of your pocket for placing the advertisement online, you can simply leave it online as long as you want. Furthermore, with no monetary constraints to bind you, you can post as many online ads in as many classifieds websites as you want. To add to it, you can increase your chances of getting a favorable response faster by posting your advertisement in multiple categories, as you see fit. For instance, if you want to sell your mobile car charger, you can advertise for the same in several categories such as mobile phones, electronics and technology, and cars and bikes. This way you can multiply your chances of getting responses from interested buyers. To add to the benefits of using classifieds websites that have already been mentioned above, it is rather simple to draft an online classifieds advertisement. There is no need for designing any graphics and you can draft your ad after doing a little research online and studying similar ads. 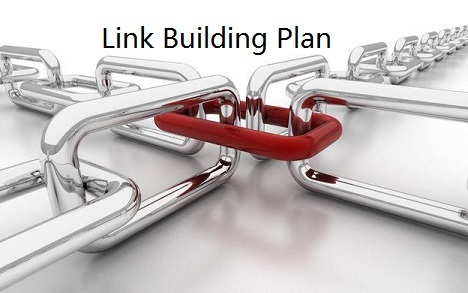 This can help you attract the right type of traffic for your advertisement. However, simply drafting a good ad is not enough. You need to make sure that you select a reputed classifieds website to post your ad online. Make sure that the website you choose to post your ad on is relevant to your needs and can reach your target market. Thus, placing classifieds online is free, fast, convenient, and offers limitless potential of sales, especially when posted on the right website. Some radio station get income only for those advertisements. So if on air do, why not online? I believe classified ads online is very useful. And I’m one of them using it when going to buy products and applying for jobs, because I was never been used to read newspaper. Thanks Kings i agree with you classifieds online is a great way to advertise your products and services for free. One of the most important advantages of this Free Classified Ads Online can be posted by every individual without spending any money and they can be placed any moment from any part of the world. That is why people can upload their ads whenever they need any service or product. Thanks Martin for your contribution. You are welcome, please do visit again. Nice post, Free classified ads will definitely improve the sale by making it visible to more and more users.